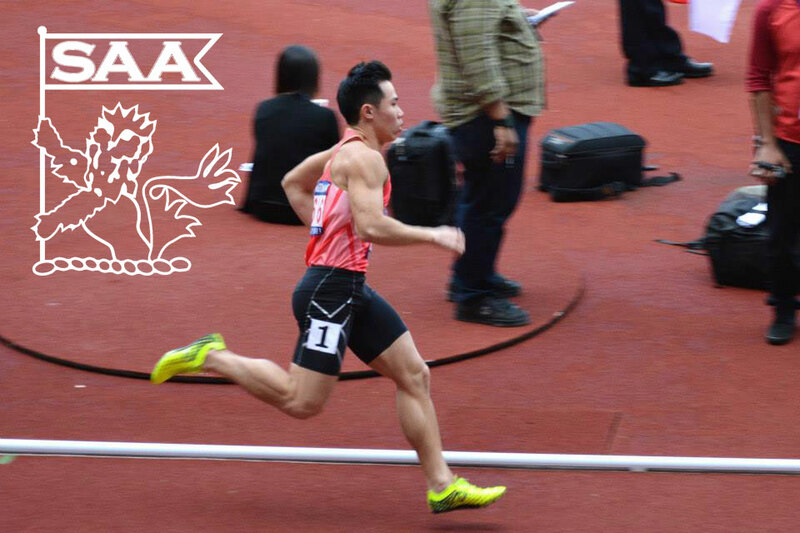 Loh Guo Pei will be representing Singapore in the Men 400 Meter Dash Open at the 76th Singapore Open Track & Field Championships 2014. Here’s is his profile awareness of our selected National Athletes for the competition. There was minimal preparation leading up to this Singapore Open as i had recently been away for my Summer School programme by NTU, I was away in Korea for a good 5 weeks which dampens my physical fitness slightly. Therefore my training was disrupted somewhat and hoping that with just 3 – 4 weeks of training I will still be able to perform to a decent standard. I hope i will be able to come close to my Personal best (sub 50s) or better my Personal best for the 400m for this season. Currently I do not have anyone in particular. But there are ones that drives me to running and training hard, they are my coach, training group and my love for running. I started out Athletics only when i was in Hua Yi Secondary School, Secondary 2. It was through the regular announcements of sporting and academic achievements, then I realised the Track and Field and Cross Country team was very strong back in 2004-05, clinching top positions. Therefore it spur me on to test my physical and mental strength to make an attempt to be part of the School team and hoping to becoming National champions like my teammates Yvonne Lin and Chua Khai Leng.